Getting a taste of Hida beef was the whole reason I even ended up in Takayama and getting my fill of it was high on my priority list while in the town. But what exactly is Hidagyu or Hida beef? 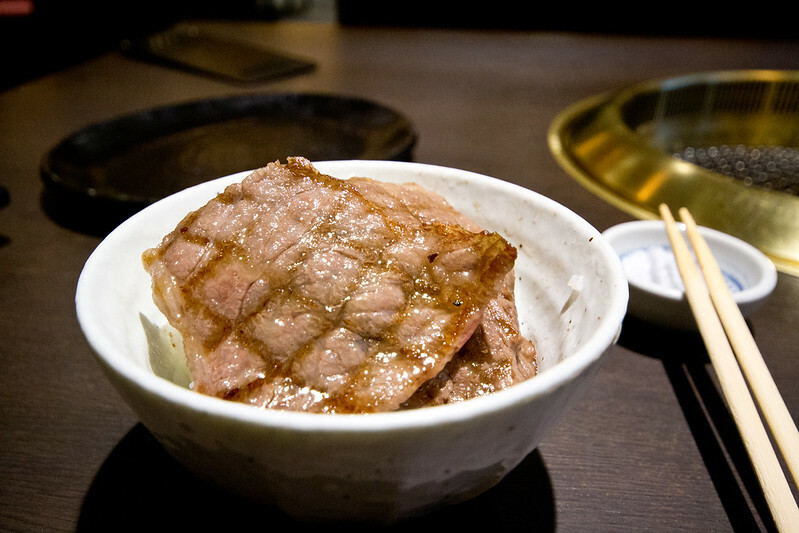 Hida beef is the name given to the beef that comes from black-haired Japanese cows that have been raised in the Gifu Prefecture for at least 14 months. Much like beef from around the world, it is given a grade which allows you to determine the quality of the beef. 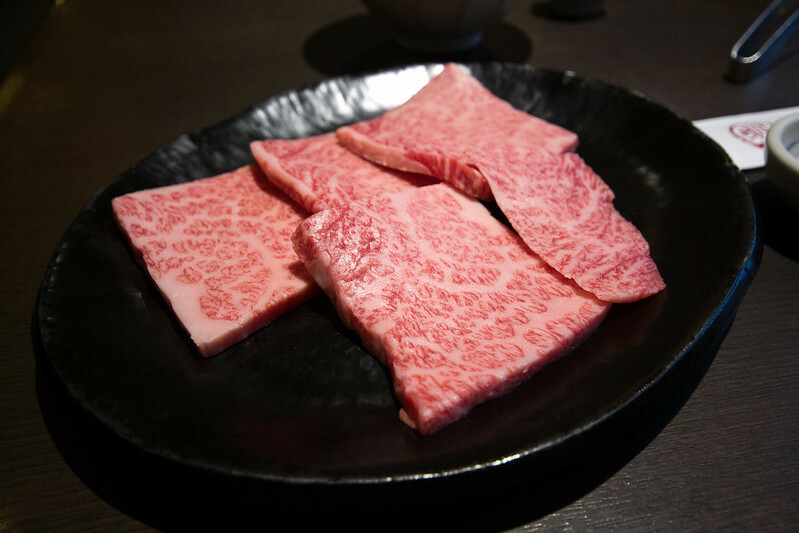 What makes Hida beef special is its marbling through the beef which gives the beef incredible tenderness. In order to be called Hidagyu, the beef needs to be certified with a Yield Score of Grade A or B by the Hida Beef Brand Promotion Conference, and have a Firmness and Texture Grade of 5, 4 or 3 as graded by the Japan Meat Grading Association. All other grades of Hida Beef are called Hida Wagyu. Before coming to Japan, I had only really heard of the famous Kobe beef which comes from another prefecture. Another term I had heard thrown around is Wagyu. My guide for my food tour through Shibuya in Tokyo, explained the difference quite clearly: all Kobe beef is Wagyu, but not all Wagyu beef is Kobe. Wagyu, loosely translated, means “Japanese cattle” and is the general term used to describe any cattle that are bred in Japan or in the Japanese-style. Kobe beef just so happens to be the most well-known kind outside of Japan, but there are numerous other types of Wagyu beef. In Takayama, it’s clear that they’ve fully embraced the love for Hida beef. 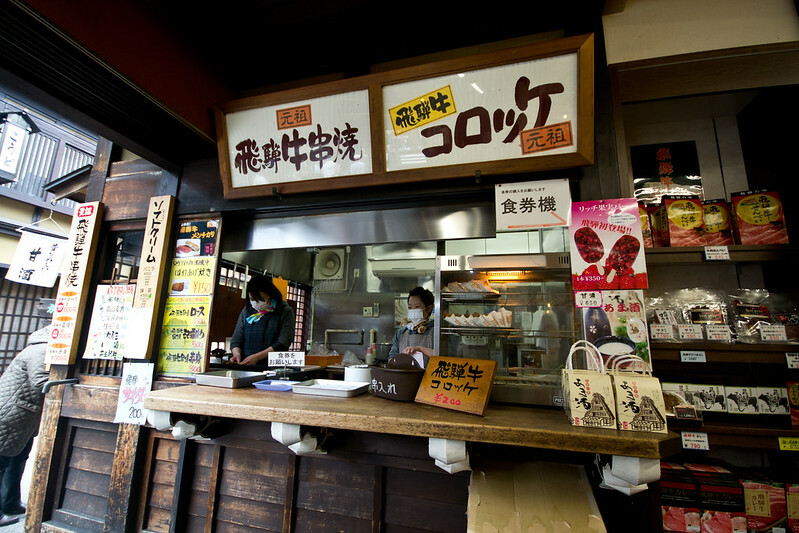 Numerous shops and stalls line the streets of Takayama’s old town selling beef items from Hida beef nigiri to Hida beef croquettes to Hida beef skewers. Lines for all these food stalls tend to be long, stretching down the street, even during the off season when I was visiting. 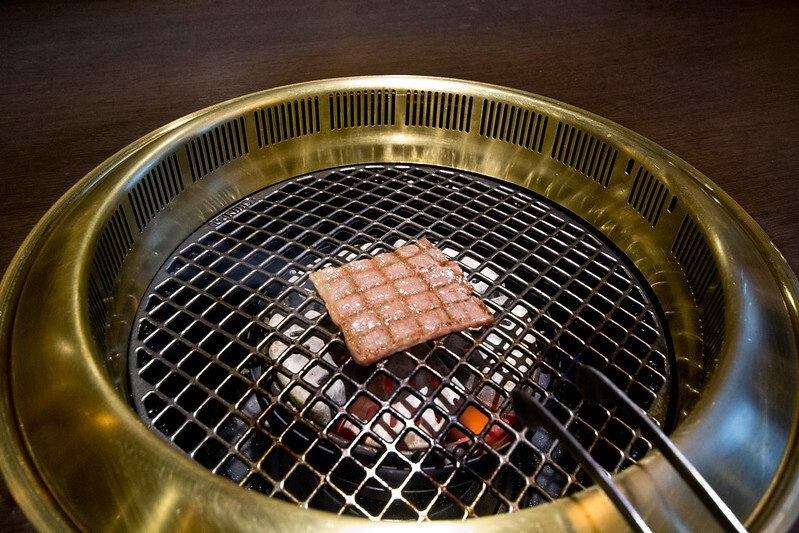 While all the options looked tempting, I opted to get my Hida beef fix in the form of yakiniku which allows you to grill your own beef. Not only was it significantly cheaper per gram for this budget traveler, it also allowed me to pick the weight of the beef so I could only order as much as I wanted to eat. I sat down at Maruaki and ordered their A5 Hida beef chuck flap for 2480 yen. It was their smallest option which came with 100 grams of beef – more than enough for me. It was served with a bowl of rice, some seasoning salt and what seemed like chopped up pickled vegetables. On the table were also a variety of sauces that you could dip your beef in, but I enjoyed it best on its own with a little bit of seasoning salt. That first bite was magic; as was each successive taste. As advertised, the beef did indeed melt in my mouth. It was so flavourful and tasted fully of beef (always a good thing!). There are really no words to describe how delicious the beef was and I’m not even going to try. You have to go taste it for yourself. Since this was a cook it yourself endeavour, one thing I was concerned about was accidentally overcooking the beef. I wanted to get a little more colour on my pieces but didn’t want to leave it on the grill for too long. 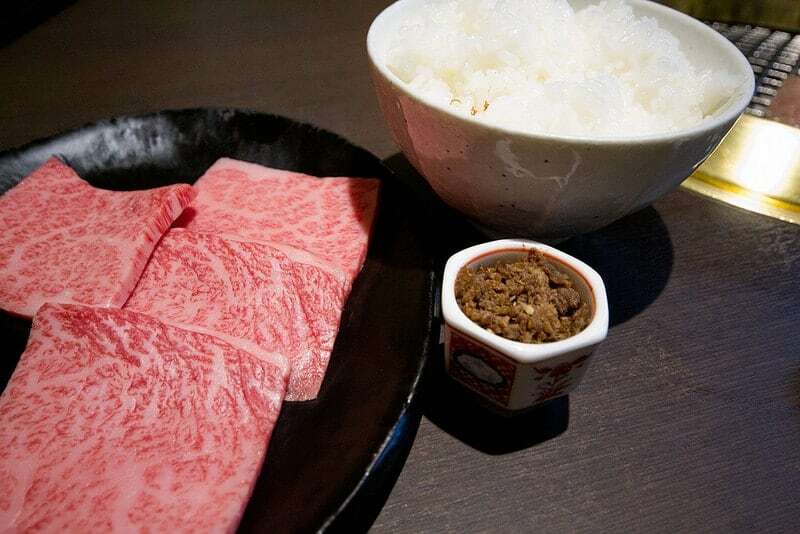 If you prefer to not cook it yourself, Maruaki also offers sukiyaki, shabu-shabu (Japanese hot pot) and steaks. 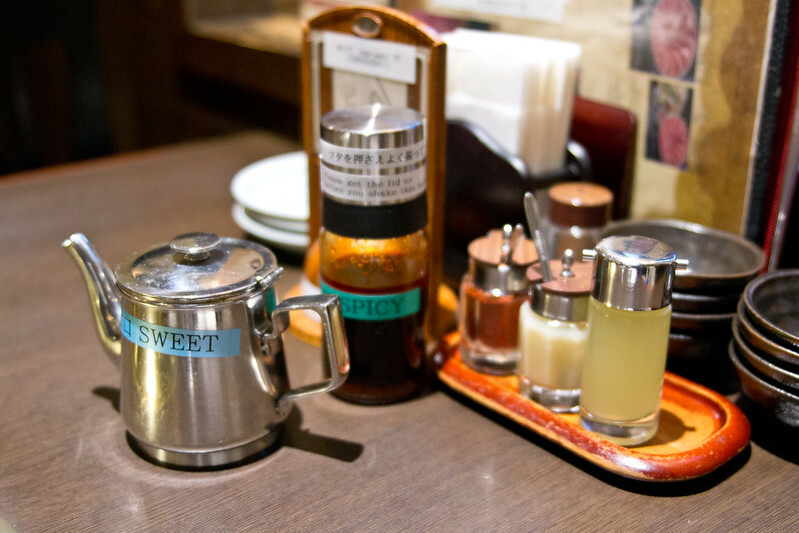 A lot of the options are suited for two or more people so make some friends and go out to eat together. You can check out their menu on their website. 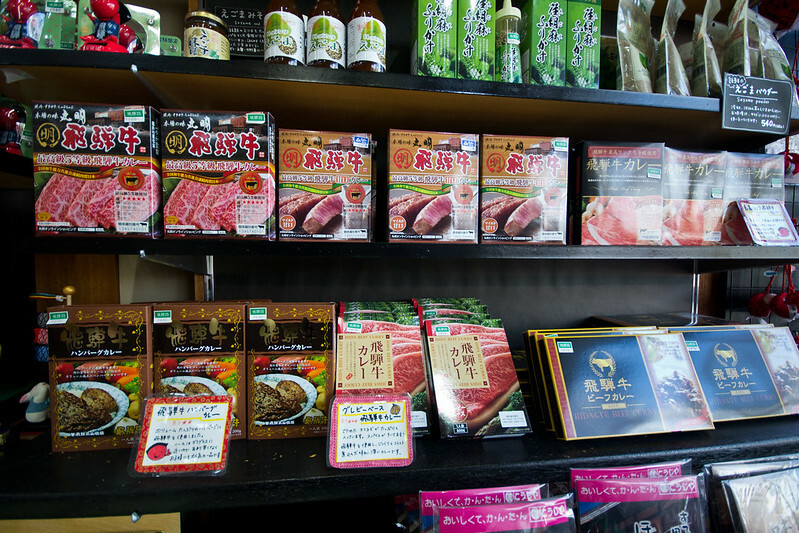 If you have access to a kitchen, Maruaki also has a butcher shop right next door where you can purchase your own beef and cook it at home. 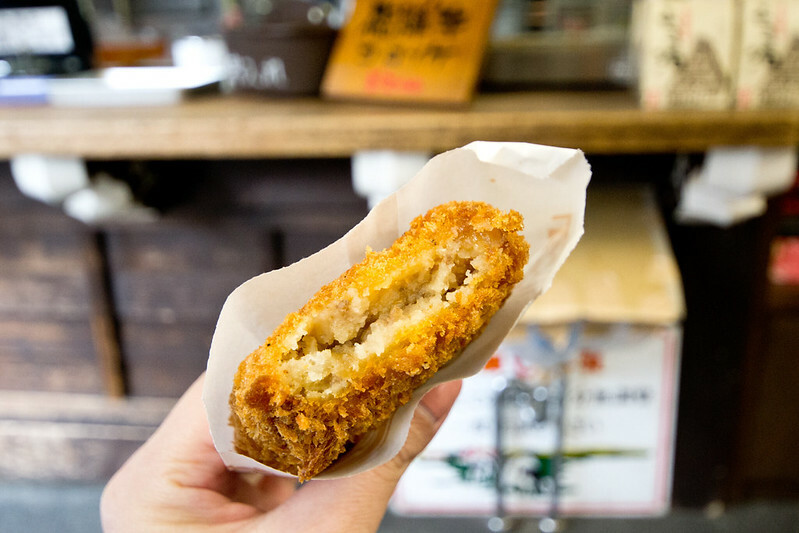 The next day as I was preparing to head out of town onto my next destination, I spotted a food stall offering croquettes with Hida beef in them. 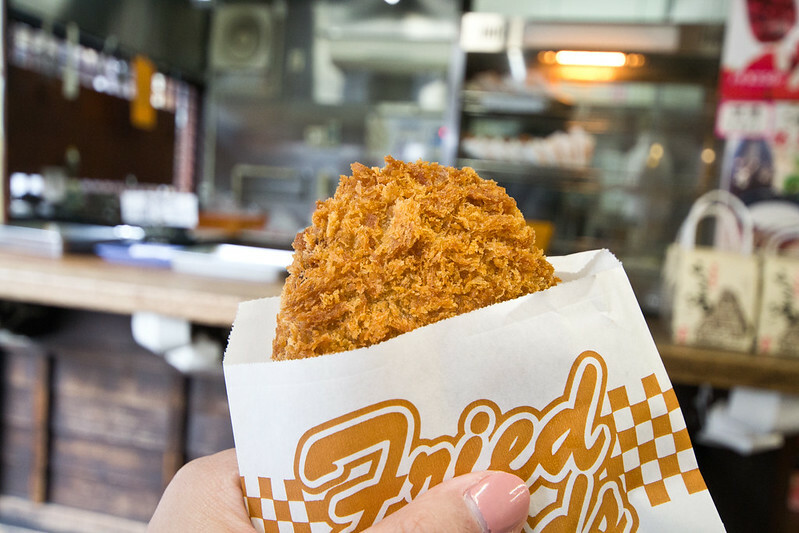 I love the pillowy texture and outside crunch of Japanese croquettes and decided to get one. 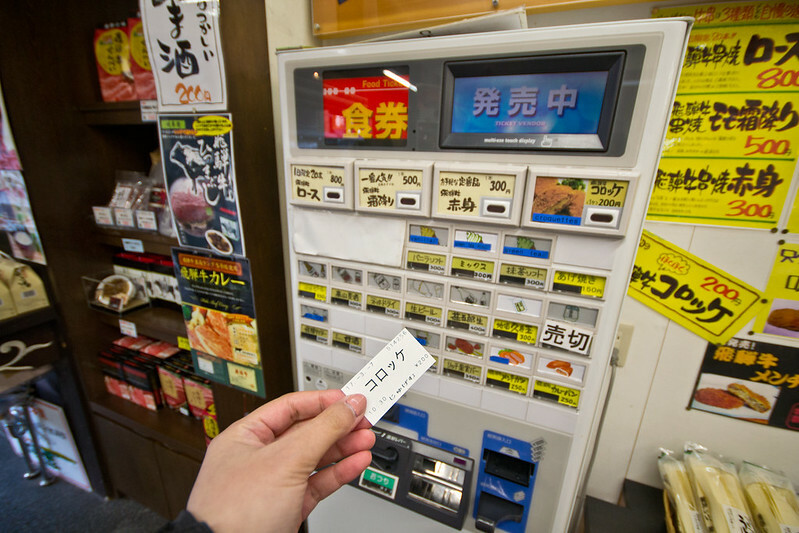 You make your purchase through a vending machine and hand the ticket over to the ladies behind the counter. The croquette set me back 200 yen. After a short wait, while they fry up a fresh croquette, I had one in hand. It was exactly as I imagined: crunchy outside, soft (and piping hot) inside, but something was missing. While I could see the occasional chunk of beef, you definitely couldn’t taste it and there wasn’t all that much of it inside either. Having been lured into the purchase by the inclusion of Hida beef I was definitely disappointed. The croquette itself was tasty, but just don’t expect that much beef! All in all, I enjoyed my exploration of Hida beef and would definitely encourage any other food lovers to head to Takayama to taste it for yourself. Have you ever had beef in Japan? Where was it from? This is my first ever time I heard about Hida beef. And yes, the look of the beef is so different. In Vietnam we are cazy about Kobe beef only, and this is obvously obly for the very rich class ( we believe the good taste of the beef there is from organic grass, classic music and massage. I will have an eye on Hida Wagyu in the next coming visit to Japan, and explore what is different in making it. Thanks. It’s my first time to hear about Hida beef. So, what’s the difference between Kobe and Hida beef. I now know they are both wagyu! Is it just the marbling or they way the cattle are fed? The Hida beef looks different and has some unique qualities like the marbling. Not a beef eater but the this definitely sounds like a delicacy which beef eaters would really enjoy. This was such good information. I always feel so nervous while ordering beef – simply because I don’t understand the difference and how it should be cooked accordingly. But your post makes it sound like a much simpler concept.